Fox Sports is simulcasting the 2:00 p.m. 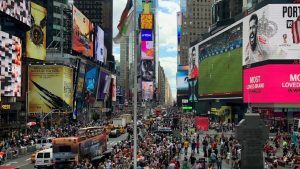 ET FIFA World Cup semifinal between France and Belgium in New York’s Times Square. The “Mega Zilla” previously simulcasted a 3-3 draw between Portugal and Spain in the Group Stages of the tournament. 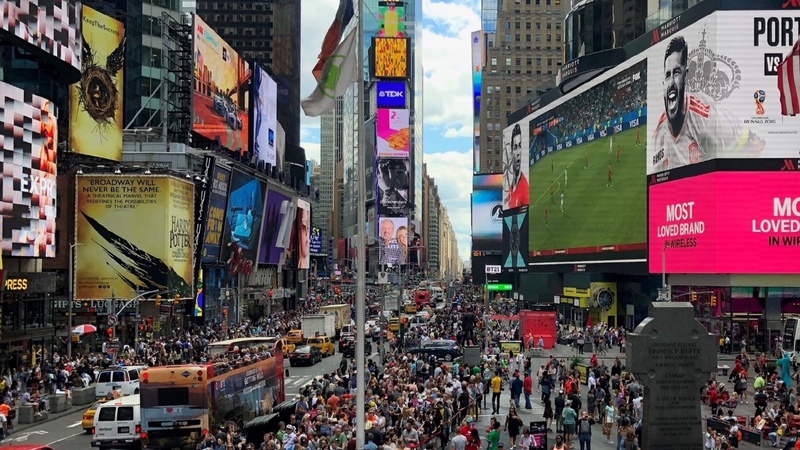 The semifinal, airing on the Fox broadcast network, will be shown on Silvercast’s high-definition screen known as “Mega-Zilla” — a 78 ft. by 330 ft. monster, thought to be the largest TV screen in the world — located between 45th and 46th Street on Broadway in Manhattan, using the feed from local Fox 5 NY. After fighting through the Round of 16 and intense Quarterfinals, France and Belgium will battle for a spot in the championship match. Fox Sports’ lead World Cup broadcasting duo John Strong and Stu Holden call the match live from St. Petersburg Stadium.